It is a piece of cake to set your own favorite music as Android phone ringtone. You can set different ringtones according to different contacts, thus you can know who is calling you up by listening to the ringtones. 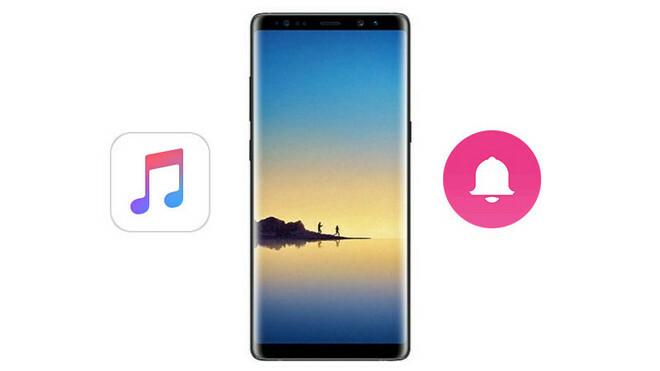 And there are also many music sources you can choose from online or streaming music services to download for your Android ringtone, so here we would like to introduce you how to easily create Apple Music tracks as Android phone ringtone. And set Apple Music songs as iPhone ringtone is also applicable. Because Apple Music songs are DRM protected, it is impossible to set music you download from Apple Music as Android ringtone. The first procedure is to download Apple Music songs to plain formats supported by Android, like MP3. Sidify Apple Music Converter will do you a favor to download Apple Music songs to MP3. 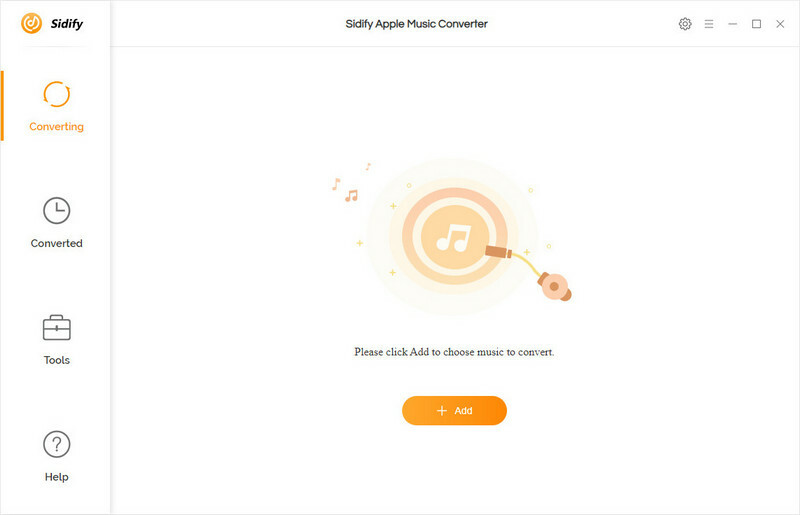 Sidify Apple Music Converter is designed to remove DRM protection from Apple Music songs legally and convert Apple Music tracks to plain audio formats like MP3, AAC, WAV, or FLAC losslessly. 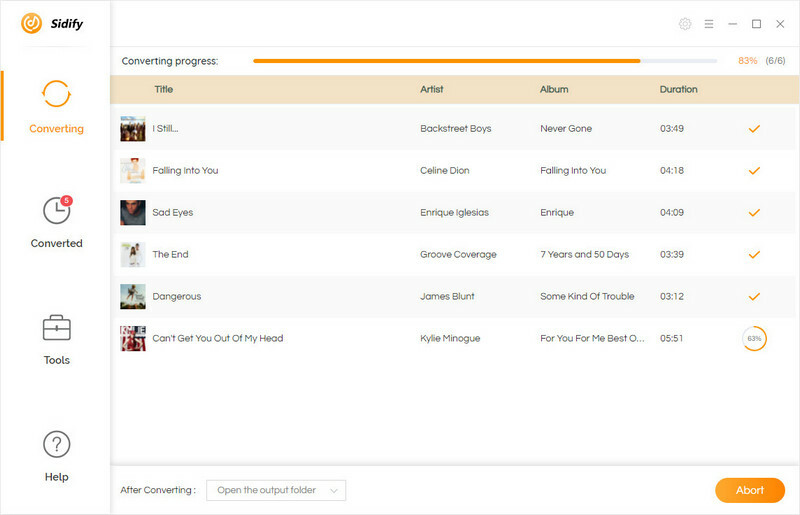 After conversion, all ID3 tags will be preserved to help you organize music library easily. So it is very easy now to creat your favorite music on Apple Music as Android ringtone if Sidify Apple Music Converter at hand. Why You Need to Chooose Sidify Apple Music Converter? 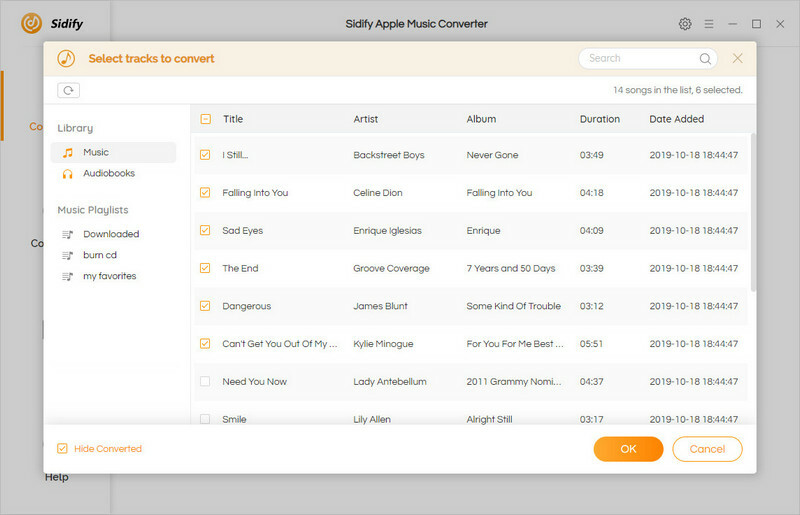 Launch Sidify Apple Music Converter after installation and iTunes will be automatically launched. Click or the interface of program, and all your tracks downloaded from Apple Music will show out as list. Select the tracks that you want create as ringtone. And click "OK" to finish the Apple Music songs importing. 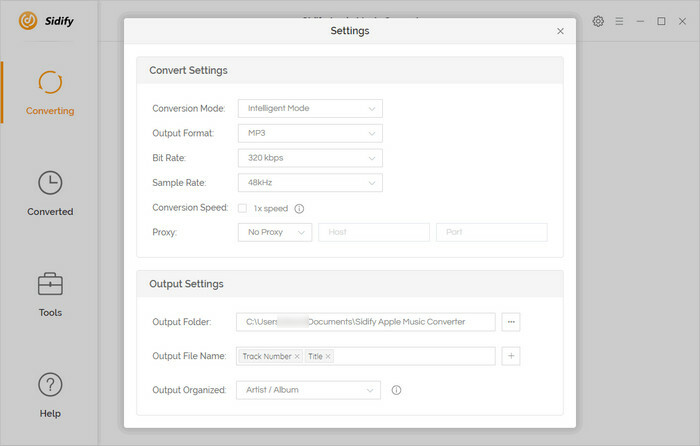 After importing Apple Music track to Sidify Apple Music Converter, you can click to choose output format, conversion mode, output quality and output path. 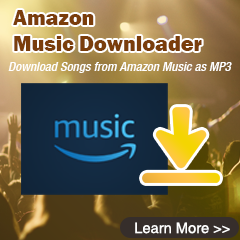 Here you can choose MP3 as output format with 320 kbps high audio quality. Click "Convert" button to start conversion. 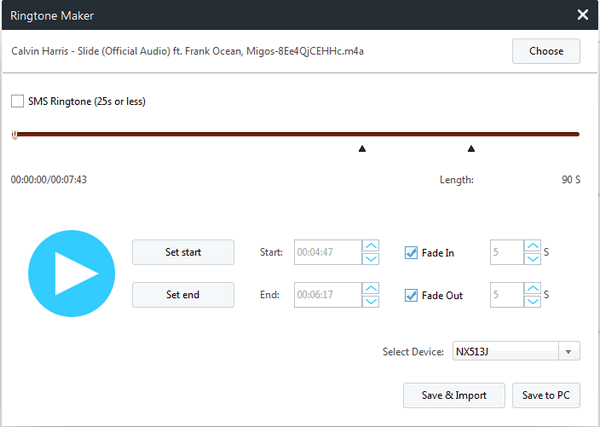 When the conversion finished, you can click to get the converted MP3 track. Now, all the MP3 files your convert from Apple Music are saved to PC, then you just need to connect your Android phone to PC with USB cable and transfer the MP3 files to Android. Or you can use Cloud service to upload the converted Apple Music songs, thus you can download them on your Android phone directly without needing to connect phone to PC. Then, go to the menu button to set the converted Apple Music songs as your Android ringtone. But if you want more specialized ringtone editing, you can use another free management tool Syncios Android Manager to set your special Android ringtone. 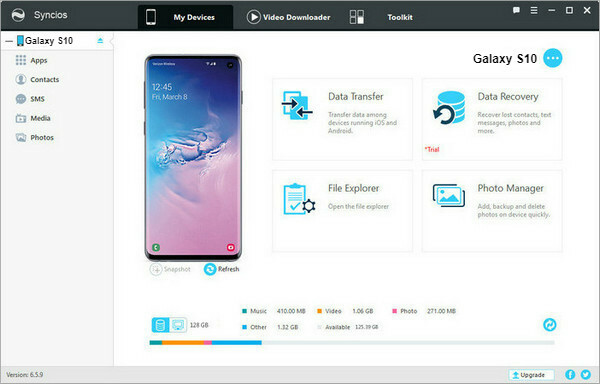 Step 1: Download and install Syncios Android Manager on PC, and connect Android phone to PC via USB cable. After Syncios finishing the analysis, you can click on "Toolkit" and select "Ringtone Maker" from the pop-up page. Step 2: Add the converted Apple Music track from PC from the pop-up window. Then you can change the start and end point as segment you want. Now, click Save & Import button to save the ringtone you make to Android phone.